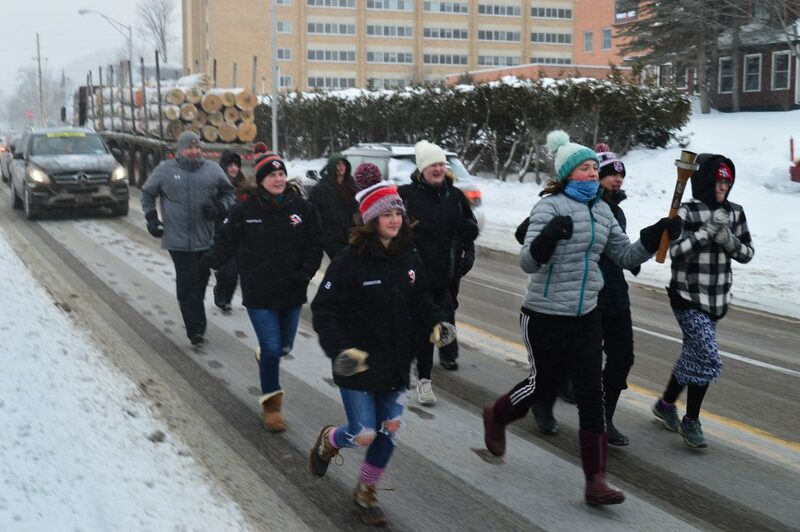 SARANAC LAKE — The Sara-Placid 14U girls hockey team took off down the street, holding the Empire State Winter Games torch high as they sprinted from Berkley Green to the Ice Palace in one of the last legs of the torch’s 330-mile journey across New York. 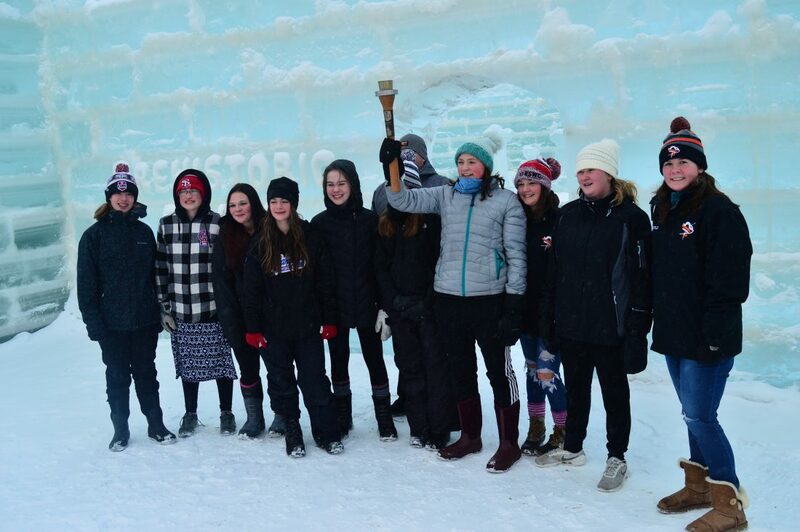 This torch started in Buffalo and was relayed across the state to Lake Placid Thursday, at the same time a torch from New York City was ran up the eastern side of the state. Several of the girls played in last year’s ESWG tournament on a team they said was “thrown together.” They did not make it far as they only had one practice together, so all were excited, but a bit nervous, to compete again with a more experienced team. This team has played a slew of tournaments together already, including the Can-Am tournament, and regularly play all over the North Country, central New York and Vermont. Many come from hockey families and one said she started hockey to prove wrong family members who didn’t think she could play. The team’s goalie, Eastynn Sanford, the youngest on the team by 11 months, started hockey because of football. She played the gridiron for one year in fourth grade before the town could not field a team. Looking for another full-contact sport, she found a love for hockey, playing in two leagues a year, practicing continually and even homeschooling while on the road between games. Josh Dann, the principal at the Saranac Lake High School, is coaching the team for the first time this year and parents had nothing but high praise for him. Eastynn’s mom, Traci Goff, said he organizes the team well, makes the game fun for the girls and brings them together like a family. 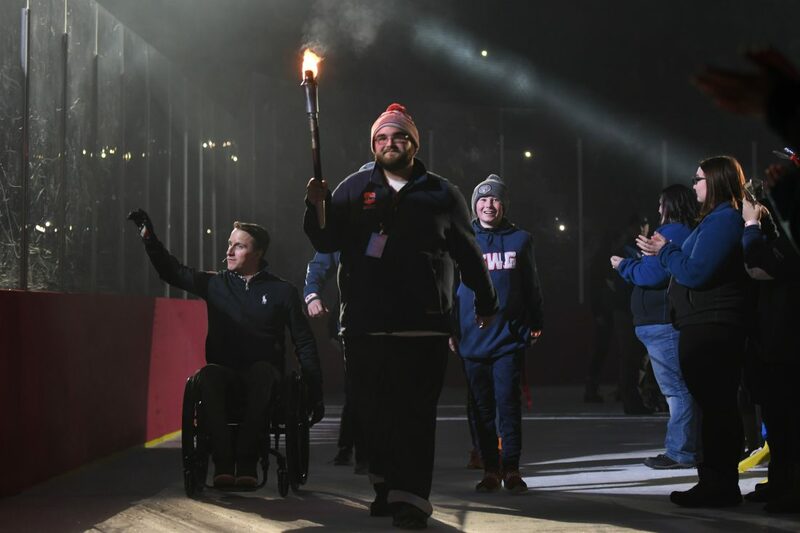 Eric Bennett, the school’s athletic director, said he was asked by Kelly Brunette, Saranac Lake’s marketing manager from the Regional Office of Sustainable Tourism, if he knew anyone who would carry the torch and immediately thought of coach Dann. “Because they’re the best girls team!” Linda Johnston, Ada Johnston’s mom, said.